English Toy Terrier Breeders & Puppies For Sale If your a English Toy Terrier breeder and have English Toy Terrier puppies for sale, send us your details for free and we will add to our English Toy Terrier Breeders page. 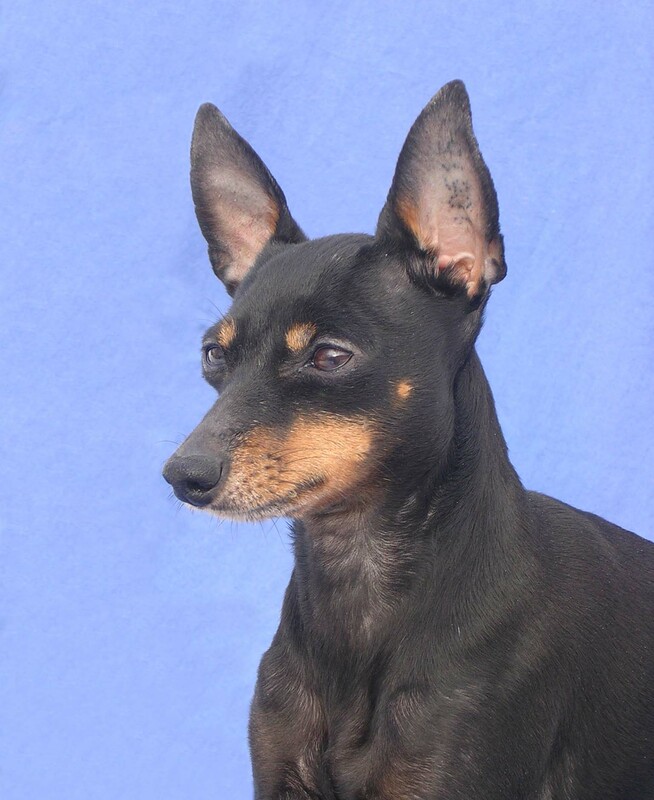 English Toy Terrier Rescue Center Visit the English Toy Terrier rescue centers if your looking to rescue a English Toy Terrier, as well as learn more about the breed or just support the rescue centers for there hard work. 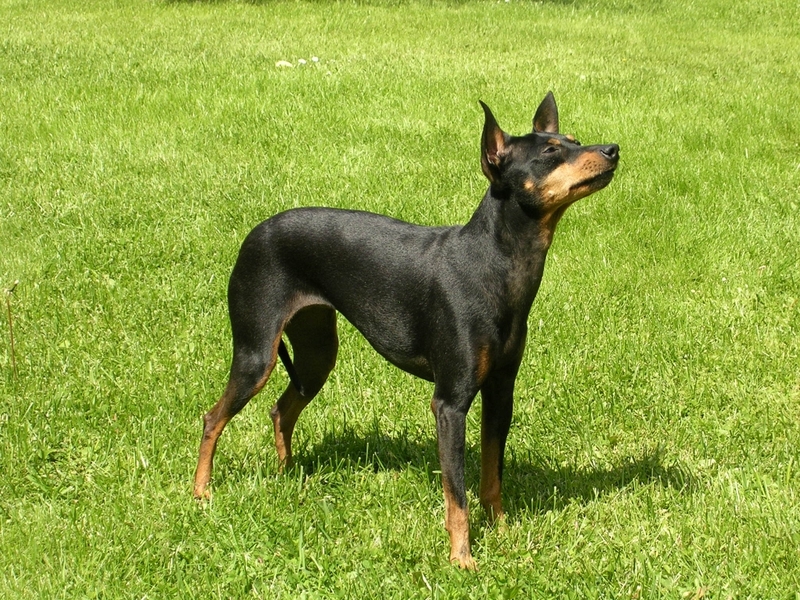 Origin / History The English Toy Terrier is a small terrier belonging to the toy dog group. 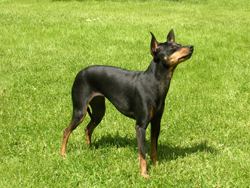 It is also known as the Black and Tan Terrier, and is often mistaken for a Toy Manchester Terrier. 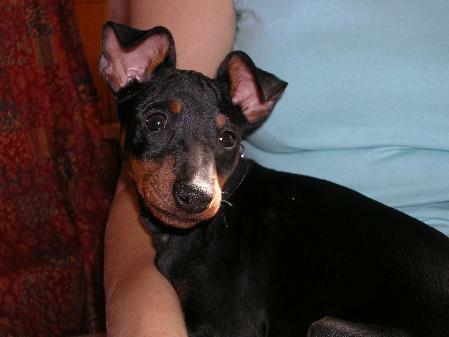 English Toy Terriers are descendants of the Black and Tan Terriers which were already existing during the 16th century. In the 1800s, these dogs were used in England as vermin hunters since the population of rats were increasing there because of the industrial revolution's advancement. Throughout the Victorian era, tiny dogs were held in high regard. Thus, English Toy Terriers were bred to be small dogs because people wanted their dogs to be fashionable. However, doing this made the dogs susceptible to some health problems. Luckily, this practice was reversed and the dogs were no longer bred to be miniature, and there were some breeders who devoted themselves to making these dogs healthier and stronger. Today, these dogs make great family companions. Appearance These dogs have flat skulls and long heads that are wedge-shaped. Their feet are small, compact, and neat, and their back feet are similar to that of cat feet. They sport thick, shiny, and short coats. Their ears are erect, pointed, and placed close to each other on top of their heads. They have long, elegant necks that arch slightly, and their eyes are small, almond-shaped, and are black or dark-colored. Colours The coats of these dogs are strictly black and tan only. The colors are clearly separated from each other and these colors follow a pattern. TemperamentThese dogs are affectionate and loyal. They love human companionship and will bond well with their family members, although they may form a stronger bond with just one person. Even though these dogs have been branded as toy dogs, they are courageous and are great for hunting mice. Although they are affectionate with people that they know well, they don't take to strangers immediately. They can also be great watchdogs, as they will let their owners know when somebody unfamiliar is approaching their property or territory. These dogs get along well with children, although older and more considerate children are preferable, since these dogs might get injured through rough handling. They can also get along well with other dogs, but other household pets such as rabbits or hamsters are discouraged from being put in the vicinity of these dogs since their natural ratting instincts may come into play. Height and Weight They are 25 - 30 cm in height and 3 - 4 Kg in weight. Common Health ProblemsThese dogs can have Von Willebrand's Disease (a blood disorder), Legg-Perthe-Calve's disease, and hypothyroidism. They can also develop cataracts, lens luxation, and progressive retinal atrophy. Living Conditions These dogs can live inside apartments just as long as they are given enough exercise. They can do well in both country or city environments. These dogs don't do too well on extremely hot or cold climates. When the weather is cold, it will be good to put the dogs in coats, and when it's too hot, owners must be careful not to expose their dogs to too much sun since they are susceptible to getting sunburnt. Exercise Requirements It is important to make sure that these dogs get enough exercise so that they will stay physically and mentally fit. Owners should take their dogs out for walks daily. These dogs can also participate in exercises that will enhance their agility. Training Requirements These dogs are easy to train, although they have a tendency to get distracted sometimes. Basic obedience training should be done while the dogs are still young. When trained properly, these dogs can do greatly in competitive obedience. Methods of positive reinforcement should be used, as harsh methods will only bring about negative effects. Proper socialization is also essential for the well-being of these dogs. Life Expectancy These dogs can live for as long as 10 to 15 years. Grooming Coats of these dogs do not require much grooming. Owners just need to groom their dogs' coats using a polishing cloth and a grooming mitt regularly. More English Toy Terrier Information: Check out our English Toy Terrier Clubs and links to more informative websites dedicated to the breed.